Project Entrepreneur is two incredible days of workshops and problem solving with some of the best entrepreneurs and investors in the business. 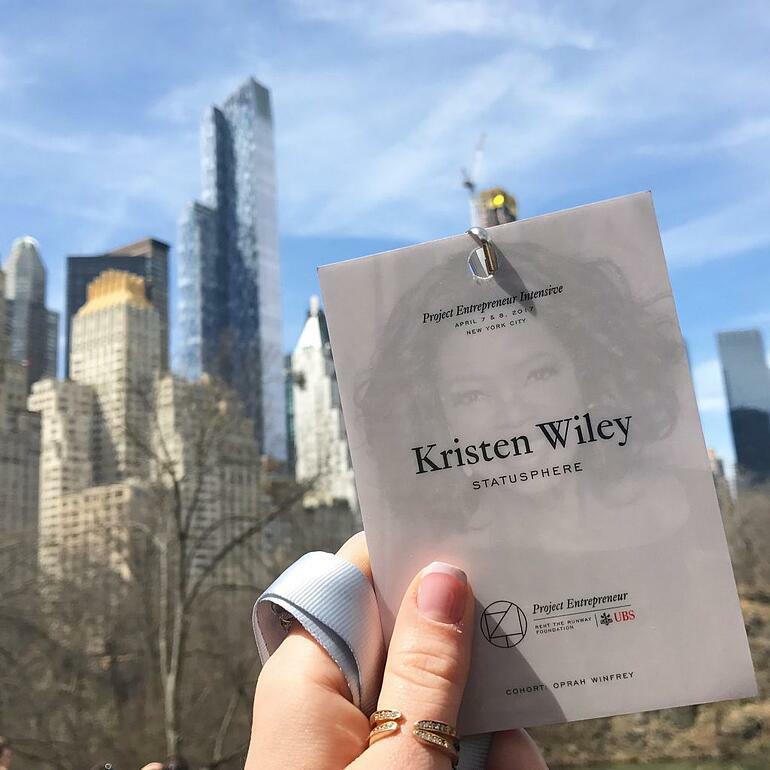 Each year they select 200 female founders from across the country to attend this event and provide these women the tools, network, and motivation to build scalable companies. Last week I was lucky enough to be one of these female founders. Here are a few of the takeaways from the event. Everything that Angela Lee (founder or 37Angels) said during her seminar was a key takeaway, so I will link to the resources on her website: http://www.37angels.com/resources/ . I highly recommend her newsletter and the resources on her site. I am from Orlando. I love my city, but one thing we are very much lacking are female investors. Having the opportunity to meet with and listen to not one but many female investors was rather surreal. I couldn’t help but feel excited and motivated by being surrounded by these women. And although I hope that one day this is not a surreal experience, it gave me so much confidence to see that it really can be done, and it was inspiring to meet so many women that are devoted to investing in other women. Along with hearing the stories of women like Jennifer Fleiss co-founder of Rent the Runway and Sara Blakely founder of SPANX (the youngest female billionaire), it was also amazing to hear the stories and businesses from the other brilliant women attending the event. I wish I had time to list all 200, but here were some of the awesome women that I met at the event and that I had the pleasure of speaking with (if you were there and want me to add you, just send your snippet to me on LinkedIn). Tina Hedges - LOLI Beauty - Pure, potent, personalized, LOLI is the first BIY (Blend It Yourself) clean + green beauty brand. Staci Brinkman - SipsBy - Personalized monthly tea samples help you discover teas you'll love, from brands all over the world. Jeannie Adams - Ready Pretty - Online personal styling service that connects stylists to real women users. Janice Omadeke - The Mentor Method - The eHarmony for connecting minorities in tech to career mentors seeking to hire more diversely. Dana Donofree - AnaOno - Lingerie for those who've had breast reconstruction, breast surgery, or mastectomy. Vicki Mayo - Buzzies - Portable, wearable solution attacks the symptoms of your stress to increase focus, reduce anxiety, and sleep better. Fara Alexander - Return Runners - On-demand return service for your unworn & unwanted retail merchandise. So, as you can tell, this event taught me many things, but probably my biggest takeaway is to always surround yourself with people that are better than you. Being around these women really raised the bar for me and I look forward to growing Statusphere with everything I’ve learned.